Defend against oxidative stress and premature aging. 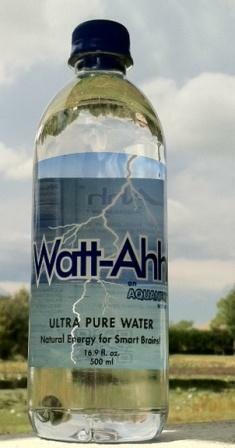 Watt-Ahh is a water which contains a reservoir of electrons that support mitochondria functions (part of a cell that suppots the biochemical processes of respiration and energy production) Feel the difference! Purchase Watt-Ahh at Alternative Therapy today!